Issue: January 2013 Wishing You A Healthy, Prosperous New Year! Happenings & News Look for “A Gathering of Artists & Poets” coming on February 19, Tues. at the Warren County Memorial Library details to follow ……. They publish two issues a year, a poetry contest for the spring/summer and an open issue for the fall/winter. They suggest you browse previously published work before submitting. Their next reading period begins 1 Jaunary 2013. Southern New Jersey still boasts of its Pine Barren with its natural setting of trees and swamps that have been since before the first settlers came. In those early days of the 1700s Mrs. Leeds lived there, mostly by herself while her husband was gone so often. She helped maintain her home and raising her house full of twelve children by using her skills as an herbalist and healer. She was known to help anyone who needed it. While her birthing should have been an easy one, it was not. The reason was not recorded but it was repeated by the midwife that reported hearing her say, “the devil be this child” or something to that effect. Later the midwife swore the child was born with cloven hoof and wings. Bonaparte’s Bordentown Gate House-still occupied. When the Bonapartes began losing battles and power in Europe, Napoleon’s brother Joseph came to Bordentown, New Jersey to live ca. 1817. This was much more to his liking than ruling any country. The great men of the day all stopped to pay him a visit and enjoy his famous hospitality. Blogs, I Get Blogs ….. There are so many blogs out there that it is like going to a celebration buffet where nothing is stale from sitting too long or unhealthy because someone sneezed all over it. It’s easy to just take a taste of this and that…..and you don’t gain any weight or have to exercise extra hard to work it off. Just pick and choose what you want to read about. London Calling at : http://general-southerner.blogspot.com/?wref=bif is one of the blogs that I’ve been enjoying for awhile now. Tony is a retired teacher and seems to jaunt around England taking great photos. His posts are varied but here are a few: A Tea with Jane Austen, Bath, Nicolas Cage and Johnny Depp (in Bath), Virginia Woolf, Colin Firth, The 6th June 1944 D Day The British Beaches, Charles Dickens , and he has trekked up to see the Bronte sisters home. He has also done the Beatles and much more including modern subjects. Photography is his inspiration, so there are many lovely and creative shots to view. This Month……While working on Bordentown stories, I’m also collecting North Carolina true ghost tales for the next book. If you know of anyone who would like to tell me their story, please put them in touch with me at: asbice@aol.com or 252-257-4838. Thanks ahead of time. Book Review…. Since I was of the generation who enjoyed Burt Reynolds naked on a bearskin rug for Cosmo magazine in 1972; generally worked in a field dominated by men in those years that followed, I thoroughly enjoyed: Always Wear Joy: My Mother Bold and Beautiful by Susan Fales-Hill. An Afro-American television writer-producer looks back on her struggles and that of her mother, elegant dancer, actor, entertainer Josephine Premice. Although their struggle was partly their heritage, it was the same struggle many of us women fought through to attain the rights we deserved during those years. A good read that brought an earlier time back to my mind. Also Available…. Ghosts Of Bordentown (NJ) $14.95, Haunted Bordentown … (NJ) $14.95, Life & Labyrinth …Memoir & Poetry $17.95 , Major Fraser’s.. History $19.95, Images of America Series -Bordentown, Bordentown history, New Egypt & Plumsted Township, A history, Bordentown Revisited, More history including its surrounds $20 each. Subscribe: Click Reply, enter your email address with the word Subscribe and return it to me if you would like to receive the monthly Ezine on books, stories, life’s quirks, and other bits of interest to inquisitive readers. If you would like to unsubscribe, do the same interjecting the word unsubscribe, of course. Open your mind. Keep reading. Be kind. Be gentle. Life just gets better and better. Thanks to an introduction by Jeanne Watson, I’ve been invited to place three of my books, Ghostly Spirits of Warren County, NC & Beyond, Life & Labyrinth and Major Fraser’s in the Riverside Mill in Weldon, North Carolina. Delighted! It has been nearly a year, maybe a bit more than that since I’ve been there. Mainly because I’m not a shopper and my need to buy gifts has faded away. I do like to buy North Carolina items as gifts when I return to New Jersey, to show that American skill and talent are still alive and doing well here. Riverside Mill is a great showcase for that. I bought a few pottery pieces, salsas, jams, chocolate-covered peanuts, and more……all North Carolina treasures that I will proudly give as exchange and hostess gifts this holiday season. Many people over – fifty don’t want another knick-knack but love to receive quality and delicious food gifts. There is so much more to the Mill including sculptures, clothing, linen, and shoe outlets. And lots of quality antiques to browse or buy all in a well-ordered, friendly and charming atmosphere. 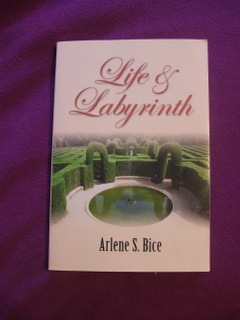 When you visit please take a few minutes to browse through my books. They, too, make nice Christmas or Holiday gifts. Click Reply, enter your email address with the word Subscribe and return it to me at asbice@aol.com if you would like to receive a monthly Ezine on books, stories, life’s quirks, and other bits of interest to inquisitive readers. Happenings & News I attended E. Jane Ball-Groom’s Book Signing for her “The Salad Pickers Journey South” memoir on Saturday, Nov 3 to my delight. It is her story of a New York girl (her) and her husband and children emigrating south to Manson, North Carolina to help build Attorney McKissick’s dream of creating Soul City in the late 1960s. These were turbulent times in our country and a brave journey for this family to make at that time. I met Jane at a writing workshop two or three years ago and thoroughly enjoyed reading her story in print. What’s Goin’ On? November 10, Saturday… .Meet the Author & Book Signing at Oakley Hall Antiques, 119 N. Main St. Warrenton from 1 pm to 3 pm. Refreshments served. Hope to see you there…………………..ALSO a Taste ‘n Tell on Tues. the 4th Dec. at the WCM Library sponsored by Warrenton Woman’s Club. Christmas recipes from the Recipes & Remembrances Cookbook will be offered to taste, cooks will tell their stories and the cookbook will be available for sale at $15. Think great Holiday gifts. Letters, I Get Letters….As an inquisitive person and avid writer, I get invitations from other writers and publishers. One note received was an invitation from Jyoti Wind to submit a piece on “why I write” and has resulted in the newly released book: The Creative Arc: An Anthology on Writing now available for $15.99. It can be ordered at: jyotiwind@gmail.com. The book will prove to be very interesting I’m sure, learning all the many different reasons on why one person absolutely must write while others could care less about it. This Month……Since I now have Ghostly Spirits of Warren County,North Carolina & Beyond on the shelves, I’m back to completing New Jersey hauntings and true ghost tales I have been collecting for the last few years in between the NC ones. If you know of anyone who would like to tell me their story, please put them in touch with me at: asbice@aol.com or 252-257-4838. Stories……Here is one that did not get into the newest book. I confess, on the few times I’ve visited the Biltmore Estate I have not seen or felt any ghosts hanging around. But the scoop is that George Washington Vanderbilt who built it because he loved the area so much as a child visiting, has been heard speaking after he died in 1914 from complications with an appendectomy. Edith, his wife of sixteen years and now a young widow was known to sit in front of one of the fireplaces on the lower level and talk to him. And the servants heard him talk back! There is also rumor of an orange cat running around without his head. Supposedly a cook chopped off his head in a fit of rage at the cat coming into the kitchen too often. And he was a favorite of his master George. That one is a little hard to believe. But sounds of guests enjoying themselves swimming in the basement pool continue. The fact that the pool has been empty of water for many years doesn’t seem to deter them at all! 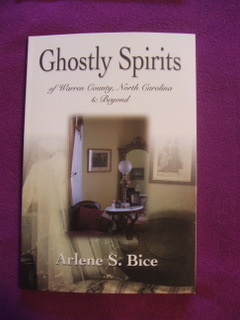 Ghostly Spirits of Warren County NC & Beyond (Soft Cover-2012 PurpleStone Press) $18.95 A candle in the window, a man who walks through walls, a woman from long ago…..peek into the personal stories of hauntings from those who wish to remain in their place on earth instead of going forward into the after-life. 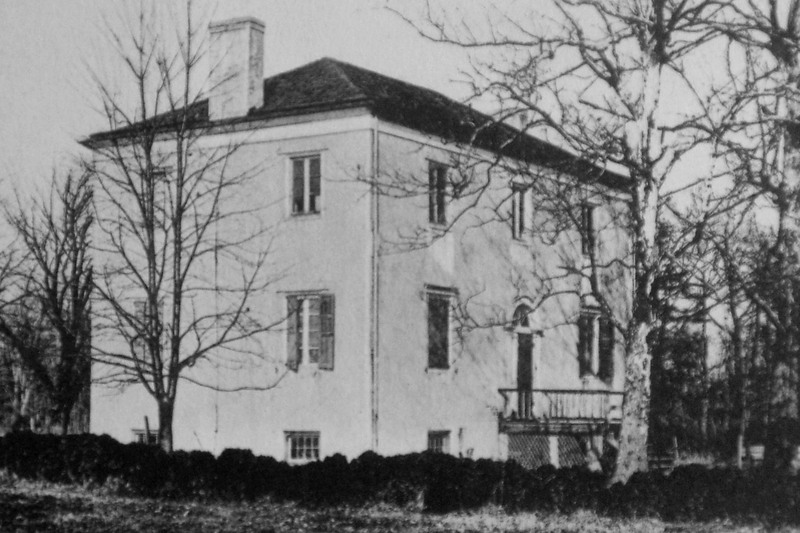 Warren County was a wealthy, thriving place during the antebellum years. Warrenton was the hub of activity, a destination on market days where friends gathered. These imprints were left and remain today. Stories brought to Lake Gaston come to life as events are unveiled by those who have the gift of seeing what others cannot see. Added is the historical background that will endear you to place and time, to personal experiences for your compassion and understanding. As time progresses and changes are made, some spirits remain as they were forever. Also Available…. Ghosts Of Bordentown (NJ) (Soft Cover-2005 guy arlen pub.) $14.00 True paranormal stories told by those who lived them. Bordentown, Images of America…..Arcadia Publ. (Soft Cover Nov 11, 2002) A picture book of Bordentown history. New Egypt & Plumsted Township, Images of America…..Arcadia Publ. (Soft Cover 2003) A picture book of the very center of New Jersey. Bordentown Revisited, Images of America… Arcadia Publ. (Soft Cover 2005) More pictures and history of Bordentown and surrounding area.